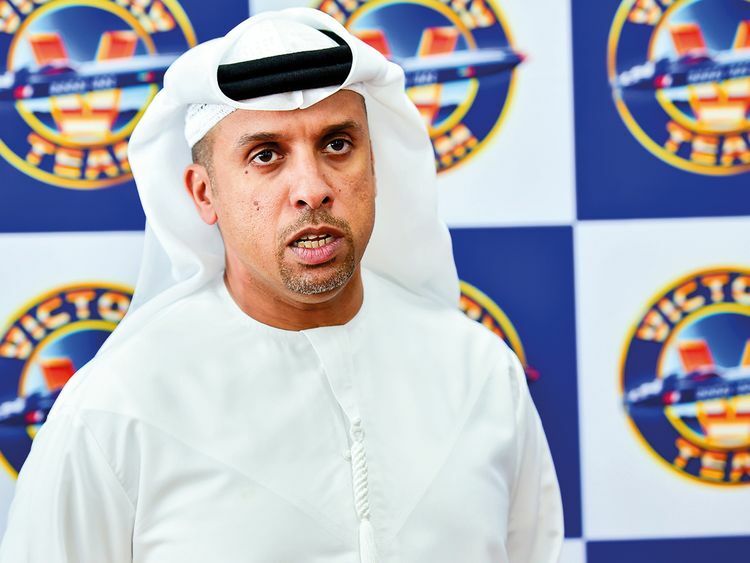 Dubai: Victory Team are all primed for the new powerboating season when action gets under way at the brand-new venue of Dammam in Saudi Arabia this weekend. Named the Grand Prix of Saudi Arabia, Victory Team is getting ready for an onslaught in the F1 category with their two-pilot combination of Ahmad Al Hameli (Boat No. 3) and former four-time world champion Alex Carella (Boat No. 44), while Asian champion Ali Al Lanjawi (Boat No. 4) and Emirati champion Ahmad Al Fahim (Boat No. 3) will lead the Victory Team challenge in the F4-S category when the Grand Prix of Saudi Arabia is held in Dammam from March 28-30. “We have everything in order for a strong start to the new season. Last season was a huge learning curve, not just for our two experienced drivers but for the support crew as well,” Huraiz Bin Huraiz, Chairman of the Board of Directors of Victory Team stated. “We are all aware of the fresh challenges before us, and being the world champions that we are, I am confident everyone will bring their best to the table,” he added. Considered one of the most successful outfits in the world of powerboat racing, Victory Team’s focus has always been the promotion of a local in-house talent pool. The team builds its own boats at its state-of-the-art facility in Jebel Ali, and since the past nearly two decades has branched out commercially while building racing and maritime vessels. “Since the early 1990s, Victory Team has been known for banking on talented Emiratis who have done well to win several world championships. Our aim is to always win, and once again, we will be right there,” bin Huraiz confided. Dammam and Qingdao, China are the latest additions to the eight-round calendar for the UIM F1H2O World Powerboat Championship by H2O Racing, the promoter and organiser of the competition earlier this year. The opening round of the 36th season will mark a return of F1 powerboats to the Kingdom of Saudi Arabia for the first time since their only previous appearance at Sunset Beach way back in 2004. On the other hand, Qingdao will be making its debut in October and become the 12th city in China to host a round of the UIM F1H2O. This will be the fifth straight season for Victory Team in F1 powerboat racing following their debut in 2015. Since then, the team has shown a steady improvement in performance with their best result coming at the end of the 2016 season when they finished third overall with 86 points. Last year was tough on both Carella and Al Hameli with persistent technical issues to finished seventh overall in the teams’ classification with 27 points. “There were lessons learnt and none of it was lost on us. We are a world-class set-up and our professionalism will come to the fore when it matters most,” bin Huraiz stated. After Saudi Arabia, the nine participating teams will head for the European leg starting with the Grand Prix of Portugal on the Arade River in Portimao from May 17-19, followed by the Grand Prix of France on Lac Leman in Evian from July 5-7. The UIM F1H2O tour will then head to China before returning to Amaravati in India followed by the last two rounds concluding with the Grand Prix of Sharjah from December 18-21.